The homeowners wanted a powder room that felt like Hawaii. It features a cantilevered glass countertop, a custom vessel lavatory that looks like Manua Kea, slate flooring (cooled magma), and lush wall finish (torn tissue paper over real leaves, glazed a rain forest green color. Dimmable LED sconces look like tiki torches. Their orchid plants and bronze dolphin sculpture are beautiful accessories . 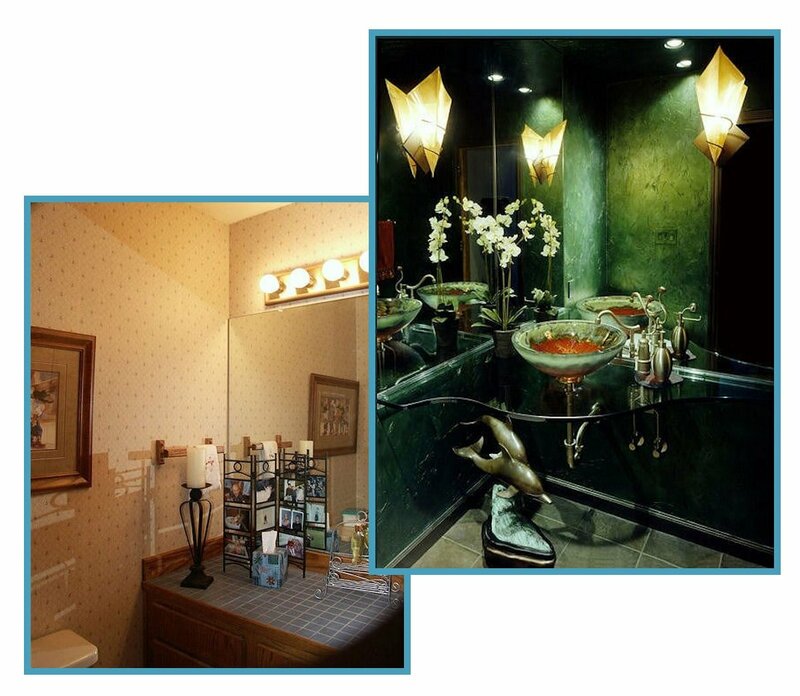 This bathroom won regional and national awards, and has been featured in three magazine articles.